Blue Origin's New Shepard suborbital vehicle launches during a test flight in Jan. 2017. A company founded by Amazon CEO Jeff Bezos will break ground on a plant to build a new rocket engine in north Alabama later this week. Al.com reports Blue Origin's groundbreaking is set for Friday in Huntsville. The plant will manufacture Blue Origin's BE-4 engine, which will power the next generation of rockets produced by United Launch Alliance in Decatur. The engine will be powered by liquid oxygen and liquefied natural gas. The engine will also power Blue Origin's next-generation New Glenn rocket. That rocket is currently under development. 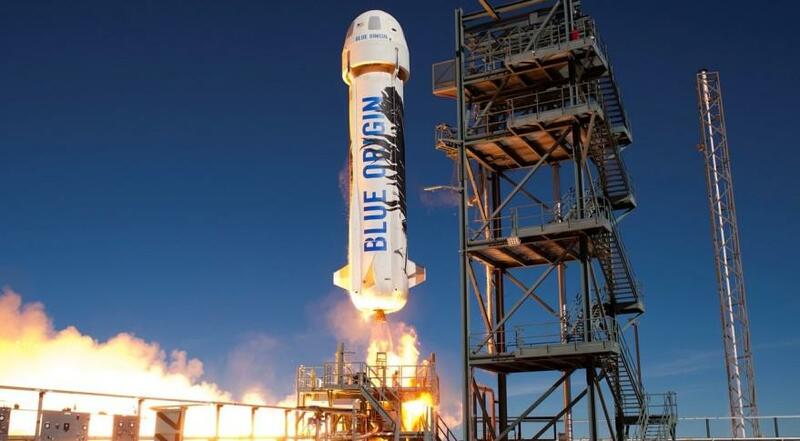 Blue Origin said back in 2017 it would locate its facility in Alabama near the United Launch Alliance plant in Decatur. The company says the plant will have about 340 employees and cost about $200 million.